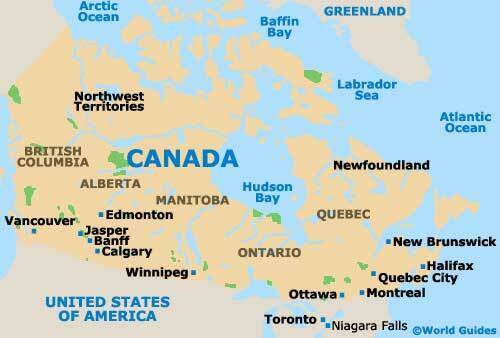 Located on the far south-westerly side of Canada, Vancouver is an important city and is also a prominent seaport. Vancouver is home to a population of around 600,000 residents and is both the biggest city within the British Columbia (BC) province and in the whole of western Canada. The city of Vancouver lies alongside the Strait of Georgia, the English Bay and the Burrard Inlet, being situated on the northerly side of the meandering Fraser River. 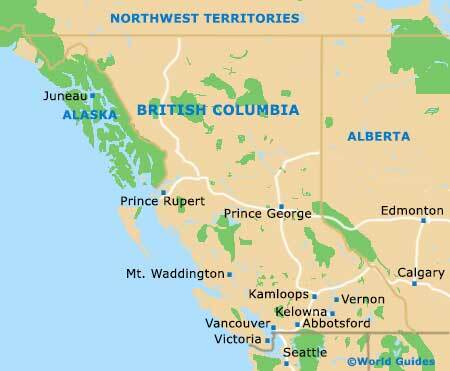 Directly south are the cities of Burnaby, Delta, Richmond and Surrey, while to the north-east is the Golden Ears Provincial Park and the Garibaldi Provincial Park. Vancouver is well known for its beautiful scenery and landscape, and is home to the enormous Stanley Park, which is amongst the biggest parks within North America. Much of the city enjoys views of the North Shore Mountains, with these natural landmarks providing a dramatic and impressive backdrop. 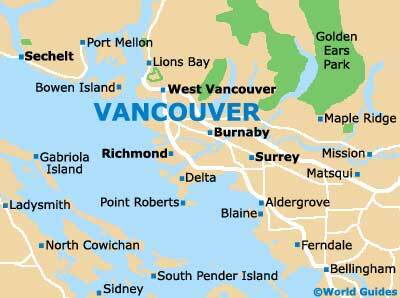 For maps of Vancouver, head to the tourist outlets on Burrard Street and Dunsmuir Street, and also to the information center at Vancouver International Airport, which is to be found south of the downtown district and is around a 15 to 20 minute drive away.